Why am I asking this? Let me begin. I am one of the (many) players who have waited patiently for Blade and soul for 4 years. One of those players who logged on to the site every week to see if there's any updates, one of those players who had a love for the games combat and content. I was one of those guys. At the time of waiting, I have played dozens upon dozens of mmorpg's, ranging from runescape all the way to Tera. I started to become a key analyst in a lot of the games and sought out the goods and bads in each. I would absorb this information and spew it out to mmorpgs I saw with potential. I always want to help, it's a habit of mine. I've been through some serious dread having some of my favorite mmos get shut down and removed or just die out in players. The times are the times, and games dying out is inevitable...However, when a game with potential dies out, a game with the potential to go so much farther than it did, I could not be more disappointed. RaiderZ, was the first action combat mmorpg I have ever played. It was an amazing game. I can say solemnly that RaiderZ was the absolute best mmorpg I have played in my lifetime thus far, next to Age of Wushu. Why is this? The staff. The primary reason RaiderZ shut down was a lack of content, and it is a shame that was so. However, this game had an amazing saving grace, and that was the staff. The staff in this game were so interactive and so inclusive that sometimes I would log on just to see what the staff is hosting. The most memorable thing for me in terms of what the staff has done in that game, is hide and seek. It was extremely fun, the GM's would hide and give players hints in global chat, and then rewards those who find them after announcing winners to the RaiderZ world. This is what I like to call, Interactive development, where a games staff includes themselves into the game to better develop the game through the players. Another memorable thing was the winter event, where a Gigantic snowman spawns in the main town, and all players fought it. The best part about that event was the staff WOULD JOIN YOU in fighting the snowman. There is no better feeling, and you can quote me on this, in an mmorpg than seeing the staff enjoy the game just as much as everyone else. When the staff and the developers of a game are enjoying it themselves, you know they did something right. Age of Wushu was another amazing mmorpg experience in my time of playing. Although the game did not shut down, the playerbase is little to none at this point. So what made this game so great to me and thousands of others? The content. Ironically this game fell for the complete inverse of RaiderZ. The content was amazing, however the staff was not. The non inclusive staff made players feel left out but the content kept it alive. The game had the perfect factions system, and the perfect open world pvp experience, hands down. I'll be frank, the pvp and the factions could get a little wonky at times. but it was my personal BEST experience in those fields. There is a certain rush in chasing an enemy in the open world hopping from building to building running on walls and having air fights. There were awesome events...AT ALL LEVELS. Can I stress this enough? In my years and years of mmorpg experience only a handful of games understood the beauty in INCLUSIVE events. I'm talking about levels 1-Level cap. RaiderZ did this perfectly with in-arena boss events. Age of wushu did this very well in the same sense. Games that do not host events for levels OTHER than the max, are games that will inevitably fail, it is the cold truth. Blade and soul....man oh man. I remember when I was sitting at home around four years ago, and thinking "Damn I wish there was a game that took the combat of raiderz and the movement of age of wushu." There came blade and soul, making rounds on youtube as an amazing fast paced combat mmorpg with amazing open world movement. I could not have been more excited, finally a game that takes everything I love about an mmorpg. Three years later, after weekly checks on the website over and over, My cousin and I gave up on the hopes of blade and soul coming to the US, and we moved on. About 9 months later I get a call "YO DUDE BLADE AND SOUL WAS OUT IN NA FOR SO LONG AND WE MISSED IT."... I have never went to download a game so fast in my life. I enjoyed the game, the combat, the content, it was as I thought it would be. But... I didn't see anyone... or barely anyone. I didn't see any events for my level, I didn't didnt see a SINGLE GM in chat... I began to think to myself "Huh... is this what I waited 4 years for?" I was blind, I never thought about the amazing impact the little things like staff in chat, and small events, and all that in RaiderZ and Age of wushu. I owe blade and soul some gratitude, as the game opened my eyes to how an mmorpg is much more than just the content, it needs to have so much more. I must say I was disappointed, I felt alone in my gameplay of blade and soul, which was extremely contrast to the swarms of players coming together in RaiderZ...I'll just be honest here, I was sad. I was very sad in fact, at just how alone in the game I was. Blade and soul HAS THE CONTENT. Just like age of wushu did... Are you going to let your game fall in a similiar fashion? 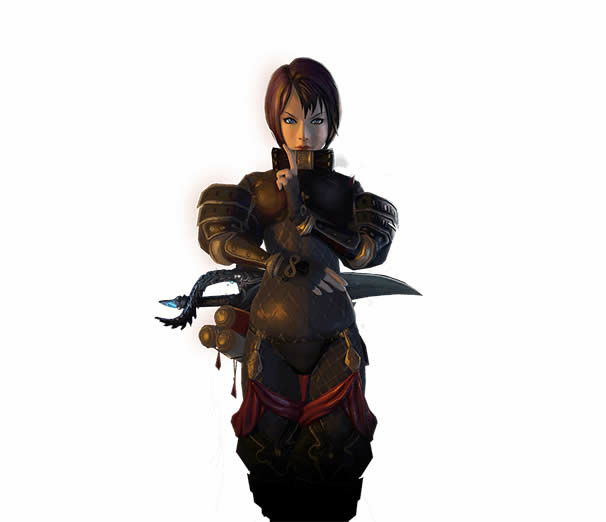 So that is my question Blade and soul staff, Do you care about your game? Yes.. or No? It's okay to be honest, that's why I ask. I don't want to waste my time and be greeted with the same dread I faced playing AOW. I can't FORCE you to enjoy your game, that is obvious, and that is not the reason of this post. The reason of this post is to get an answer, and nothing more. And if your answer is Yes, then you have my respect, and you got yourself a devoted and dedicated player, but I will also look forward to seeing it. I want to see staff, and I want to see interaction. Without it, I feel like I'm in a dead game. It takes a community to build a community, it is an upsetting, but true sentiment. Through my years of gaming, I have found that many games struggle to find that "First community" But the answer is simple, the staff IS the first community. The people who worked so hard and so strong on a game, becomes the community when they enjoy the game. Off of that community, grows the playerbase. I've seen it with my own eyes and I KNOW Blade and Soul has the potential to GROW. Please, please do not be another mmorpg with amazing potential fall for something so trivial. That concludes this post, If you read the whole thing the tip of the beanie goes to you, if you did not, that's fine, it was quite a bit of text. If you're a player, and not staff, please, feel free to share your own thoughts as well. I want this thread to be an open platform for blade and soul. Thank you, and have a good one.